As someone who eats gluten-free, spaghetti squash is one of my favorite vegetables. With its noodle-like nature, this yellow member of the squash family is the perfect substitute for pasta for gluten-free foodies! Not only is it delicious, but spaghetti squash can also be prepared in a variety of ways, is extremely healthy, and easy to make in a microwave. 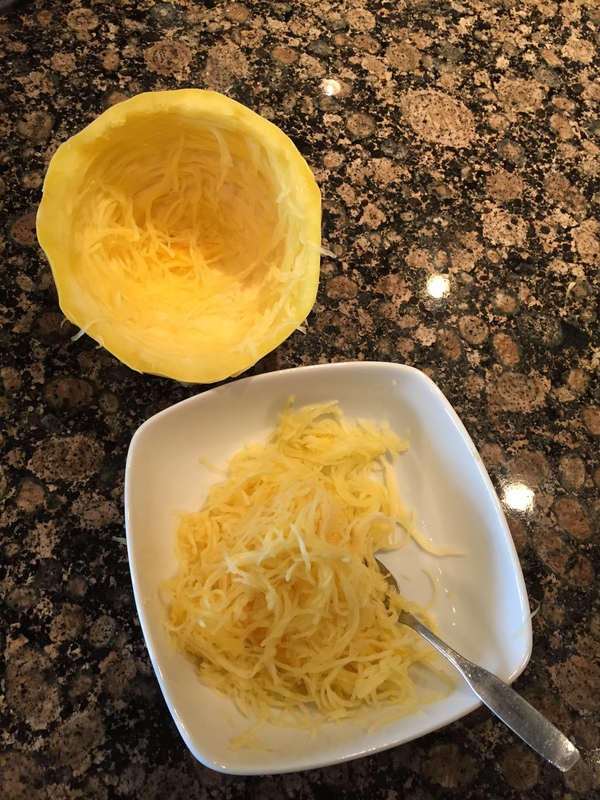 Compared to pasta, which has 200 calories and 40 grams of carbohydrates per cup, spaghetti squash boasts only 42 calories and 10 grams of carbohydrates per cup! The easiest way to prepare spaghetti squash is to cook it in the microwave. Cut spaghetti squash in two halves. Place side by side with the seed side down into a microwaveable pan with about 1 inch of water in it. Set microwave for 6-8 minutes depending on size of the squash. 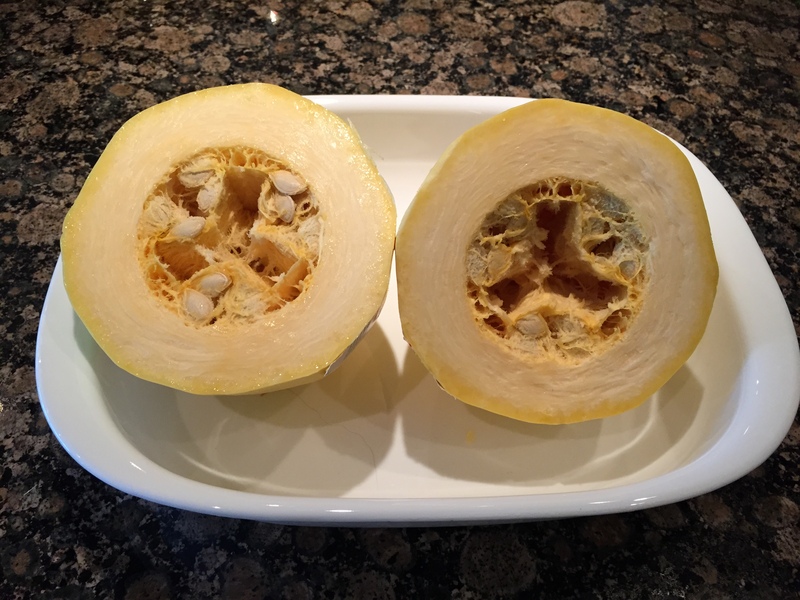 Remove from pan and turn squash over seed side up (Be careful! Squash will be very hot!). Using a fork, loosen the seeds and squash strings attached to the seeds and remove them from the squash and discard. Scrape gently along the inside of the squash, loosening the strands of squash and place into a bowl. And that’s it. You can eat it plain or add your favorite toppings: parmesan cheese, pesto, tomato or meat sauce, butter, olive oil…be creative! Enjoy!